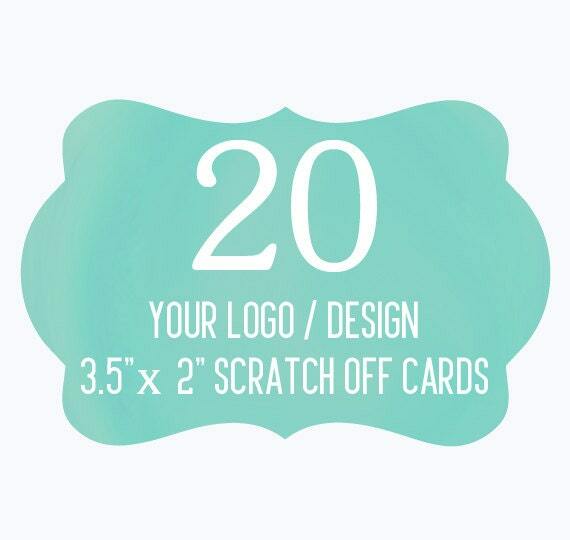 20 Custom Promotional Scratch Off Cards. Your purchase of 20 cards will come with 2 different variations. These turned out beautiful! Great job, and fast shipping! Would buy from again! absolutely perfect and so fun to share with guests! !